I've been always asked by people on the same question, about my secret of keeping a translucent and radiant complexion. I am thankful to have such skin condition, but of course nothing comes with gain and no pain. Something that I've always mentioned before, in order to whiten your skin, first you must moisture your skin. Been using 2 products from Maxilady (WeChat: chloelow11) that I really like it and would love to share with you guys, OJO Shining Silk Cream and Lar Velle Silk Mask, both are Korea made products. I am using the second bottle of OJO Shining Silk Cream, I love its texture, non-sticky and easy to apply on skin. Basically it carries a lot of benefits. 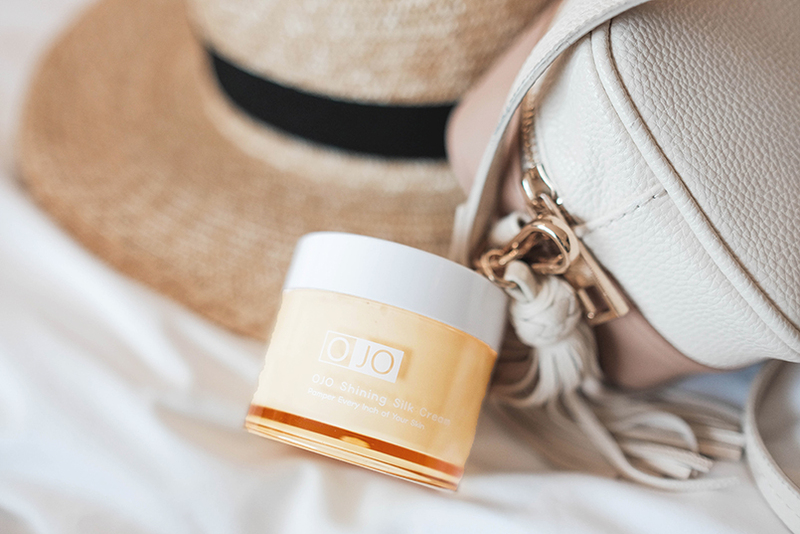 Best thing of all, OJO Shining Silk Cream is suitable for those who have sensitive skin, it's irritation free. I like to carry it along when I go travel because of its functional benefits in such a portable bottle. Oh yeah, OJO is actually for after-bath use, don't mislead by my first photo HAHA! 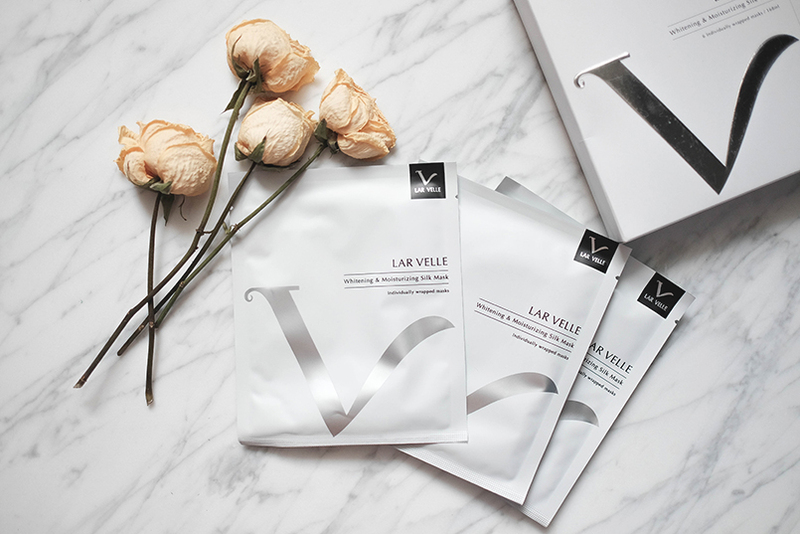 Another product that I wanna share with you guys is LAR VELLE Whitening and Moisturizing Silk Mask. Lar Velle Silk Mask contains Nano Hyaluronic Acid, which moisturizes and retains the hydration of our skin, also the thinness of 0.1mm, face is fully covered by a sheer mask.